Can you top this in the winter? Q - I know there are some things you can't do in the cold weather like paint your house or pour concrete. What about have a new roof installed? First of all, you can paint, or have your house painted this time of year. There are low temperature acrylic paints available on the market that work very nicely down to 38 degrees. As far as concrete goes, you can do concrete work this time of year, but it is not advisable to pour concrete on frozen ground. People often question whether or not roof shingles can in installed in cold weather. Good news - you can roof in cold, dry weather. All good shingle manufacturers have specific requirements about what temperature their products are good down to and as always, read and follow all label directions. For the most part though, 28 degrees and over is shingle weather. It may take your new roof a little longer to lie flat in colder weather as a new roof depends on the heat from the sun to do so, but you can get a quality roof job throughout the winter. 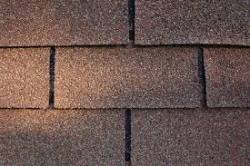 If you go with a quality roofer, they will know the intricacies of installing quality shingles in all kinds of weather. A quality roofer will tell you if the weather is good enough to install or not, and not just try to sell you a new roof no matter what. Make sure you do your due diligence when hiring a roofer, be it in warm weather or cold.